Many motorists travel over railroad tracks every day without thinking much of it, however, the reality is that railroad crossings can be incredibly dangerous, and with 50% of all vehicle-train collisions occurring within five miles of the motorist’s home, the danger is closer than you think. The experienced Nashville railroad accident lawyers at Whitfield, Bryson & Mason have been successfully fighting for injured parties for over 30 years. If you’ve been hurt in a railroad accident, we can help you obtain compensation. Over 1,000 people were injured or killed in vehicle-train collisions in 2014 according to the Federal Railroad Commission. Collisions with trains have a much higher potential to be fatal than other motor vehicle accidents because the force of a train hitting a car is the equivalent of crushing a soda can with your hands – it’s deadly. Track – To prevent accidents, railroad tracks need to undergo regular maintenance to ensure they are safe. It tracks become uneven or dislodged, they can cause conductors to lose control of the train. Signal – Signals at railroad crossings are absolutely crucial in warning surround motorists that a train is approaching. If the signals at a railroad crossing are inoperative, accidents can results. Additionally, conductors are required to signal on oncoming train by using a train horn. Equipment – Trains, like other vehicles, require regular maintenance to keep them running safely. If a train company fails to keep their trains in good conditions, things like brake failure can occur. Human factor – Conductors have a huge responsibility when operating trains. Reckless behaviors like speeding, working while fatigued, or working while under the influence of drugs or alcohol greatly increase the likelihood of train accidents. Miscellaneous – Any other causes of railroad accidents like weather conditions and loading procedures. Because there are a number of factors involved in railroad accidents, the immediate cause of the accident isn’t always apparent. Investigations into train accidents can take months before victims and their families can receive answers about how the crash happened. Injuries from a vehicle-train collision are usually life-threatening. The velocity and force of train accidents can cause victims to suffer traumatic brain injuries (TBIs) that can range in severity from concussions to permanent and severe disabilities. Victims can also experience spinal cord injuries that could lead to paralysis, broken or shattered bones, lacerations, and extreme emotional trauma. For most victims of railroad wrecks, recovery is lengthy process. From surgeries to physical therapy, it can take victims months or even years to recover from the accident. Because victims of railroad accidents often need lots of medical treatments, they can quickly become overwhelmed by a financial burden. Many victims cannot immediately go back to work, causing lost wages when they need income the most. After a train wreck, investigators from the railroad company, the Federal Railroad Commission, and other law enforcement agencies will begin to investigate the possible causes of the accident. Regardless of the cause of a train accident, all railroad companies are required to file reports with the federal government when an accident occurs. The companies are also required to try to make contact to any suspected injured parties. Railroad companies often employ lawyers and experts to best protect their interests and avoid costly payouts, so its crucial not to give a statement until you talk your lawyer. Partnering with a dedicated legal team will ensure someone is fighting for you best interests so you can focus on getting better. At Whitfield, Bryson & Mason, we don’t represent just anyone. We only represent clients who have been wronged or injured by negligent parties. Our attorneys have gained national recognition for significant victories in challenging legal cases. Trying to fight insurance companies and railroad companies on your own is a nearly impossible task. 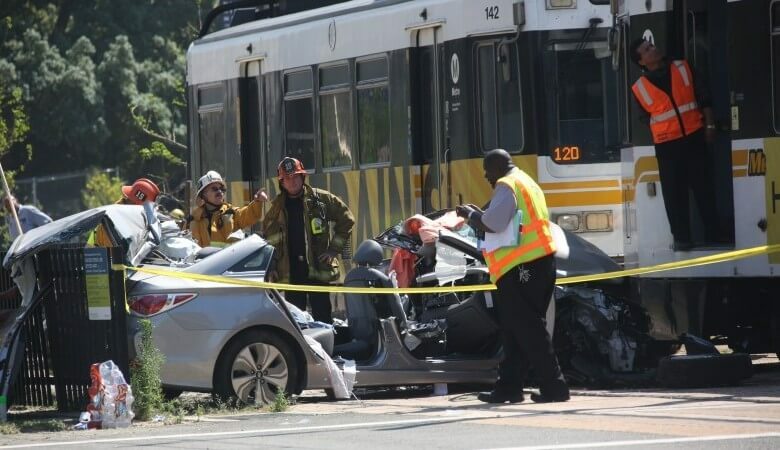 Our lawyers are experienced litigators and trial advocates who understand the logistics of how a train collision can cause catastrophic damages. We can analyze the facts of your case to determine liability and help you get compensation for your injuries. Contact us today to discuss your case at no cost to you.